Tuesday afternoon, at Newark Liberty International Airport, I boarded a plane, took off, watched Planet Earth live on Netflix for 90 minutes. I then landed at Newark Liberty International Airport—a few hundred feet from where I’d taken off. I ended the day where I started it, and that was the point. So was the Netflix. 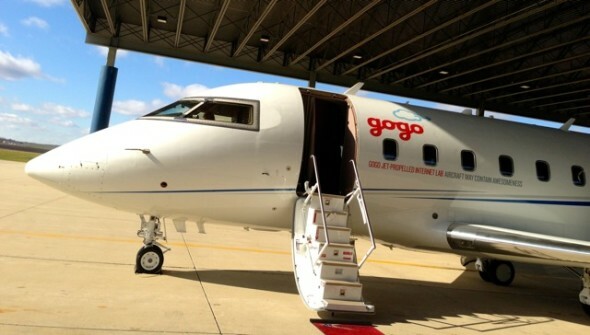 On this day, Gogo, the world’s leading provider of in-flight wi-fi, was sampling what is says is its newest, fastest, most reliable wi-fi product yet for aviation and travel journalists. 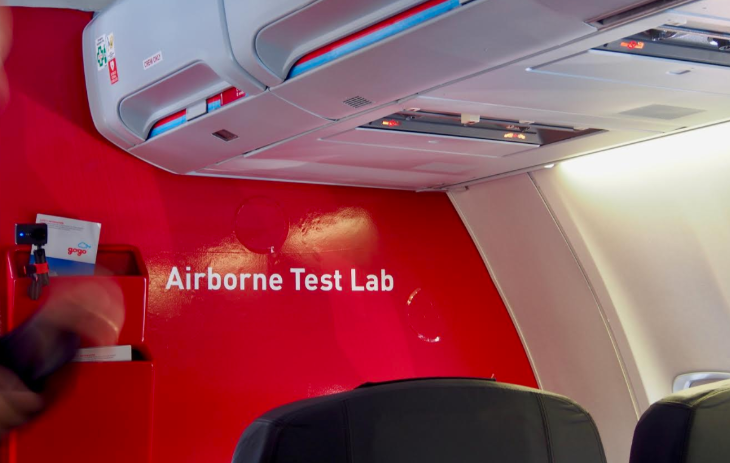 Aboard Gogo’s white-and-sky-blue 737—the Jimmy Ray “flight lab,” named for Gogo’s founder—I joined about 20 others in testing “the next generation of 2Ku” Wi-Fi. Takeaway: Gogo’s in-flight Wi-Fi, powered by new modems and Intelsat IS32E satellites, is about to get much, much better. Gogo says that right now only one Aeromexico jet is flying with the newest next-gen 2Ku system that we sampled. However, the company has aggressive plans for installation and says that 1,600 planes will have it by the end of 2018. Currently, about 170 planes worldwide are flying with its first generation 2Ku system—and 100 of those are Delta’s. Planes that are already equipped with first-gen 2Ku will, at the end of this cycle, be retrofitted with the new modems to bring their wi-fi up to what will soon be the new standard. According to Gogo, the Wi-Fi at 30,000 feet on this day peaked at a blistering 93Mbs, though I did not measure that myself. Uploads peaked at just 8Mbs, but for me averaged around 4Mbs. All this, despite 20-some journalists on 53 devices trying their hardest to consume bandwidth. That said, my VPN (iVPN) brought my internet bacchanal to a temporary halt. I was told by CTO Anand Chari that initially the new 2Ku technology is not yet optimized for all VPNs (which carry server requests indirectly, via multiple stops) for reasons related to latency. My attempts to FaceTime were also largely unsuccessful, though a few flying beside me managed better. Ed Baig of USA Today even Facebook Live’d for a while. American Airlines, which not long ago nearly took Gogo to court, has signed on for 2Ku installation on 140 planes. Among the other airlines that will soon offer up to 100Mbs wi-fi in the air are Aer Lingus, Air France, Air Canada, British Airways, GOL, Iberia, Japan Transoceanic Air, KLM, Virgin Atlantic, and Virgin Australia. 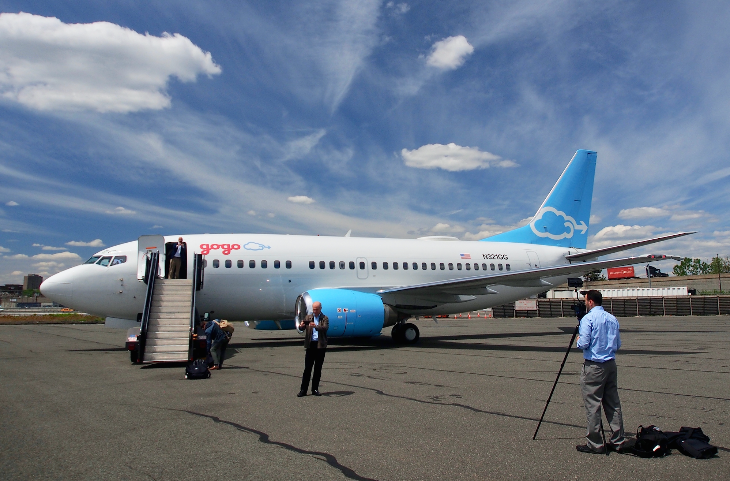 Pricing for now will remain the same, though Gogo expects to reevaluate as passengers familiarize themselves with the new tech. As I understand it, Gogo’s current price structure is designed to limit the number of passengers consuming bandwidth (cheap/free access would mean more people clogging it up). 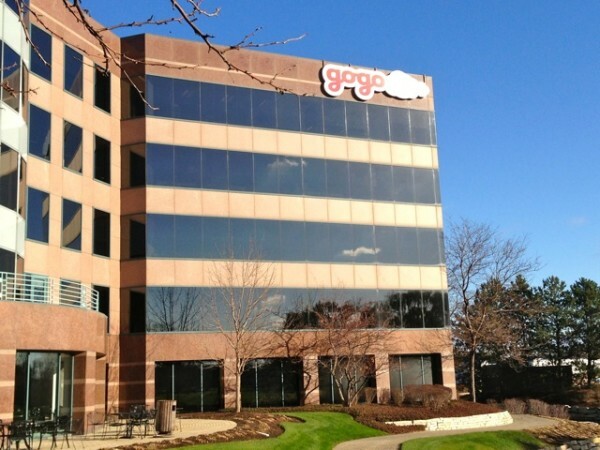 With much more bandwidth soon available, and passenger expectations of Gogo set to change, it remains possible that more passengers will price into Gogo’s user base. 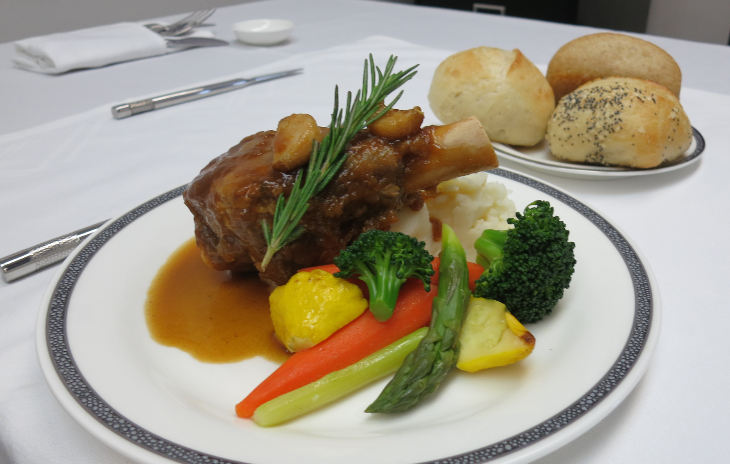 Three times a year, Singapore Airlines’ food and beverage executives create new seasonal menus for all its flights worldwide. 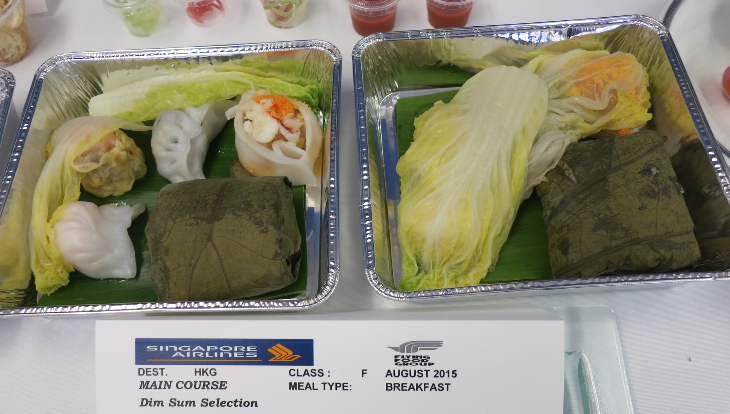 These menus are sent from Singapore to about 60 inflight catering facilities around the world. 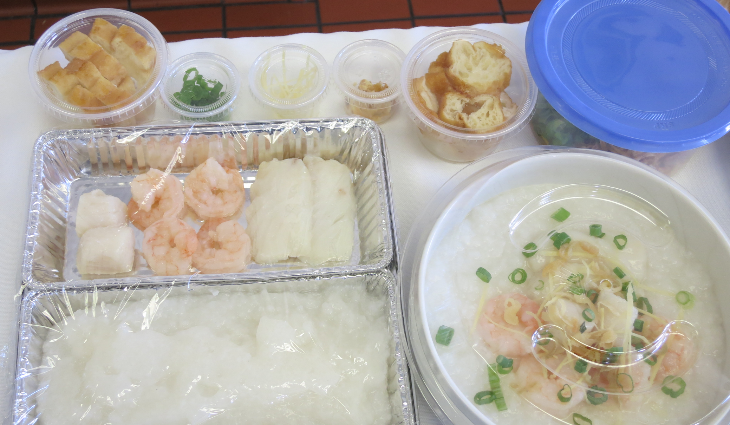 The catering kitchens source ingredients for the meals, then practice making and plating the meals in preparation for a visit from a Singapore Airlines executive chef. 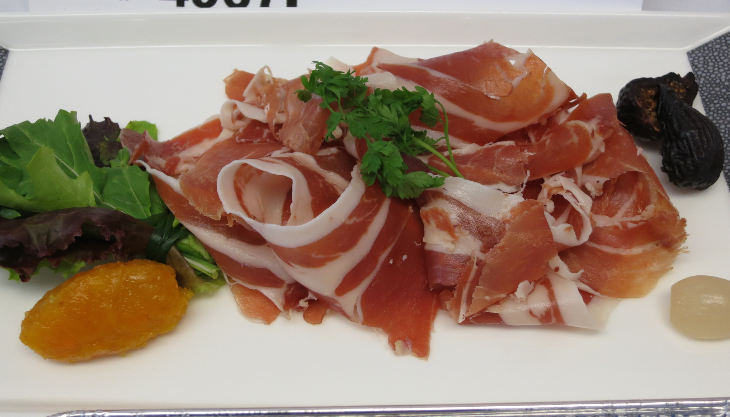 On the day the executive chef arrives, the kitchen has prepared every single dish on the menus, which are laid out for inspection. 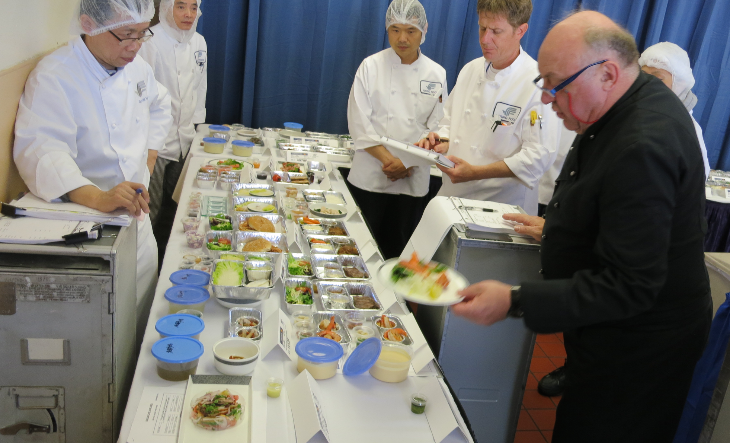 Kitchen staff gather around and watch as the chef reviews each dish, inquires about ingredients and preparation, and then plates the dish in the manner that the airline would like it served. 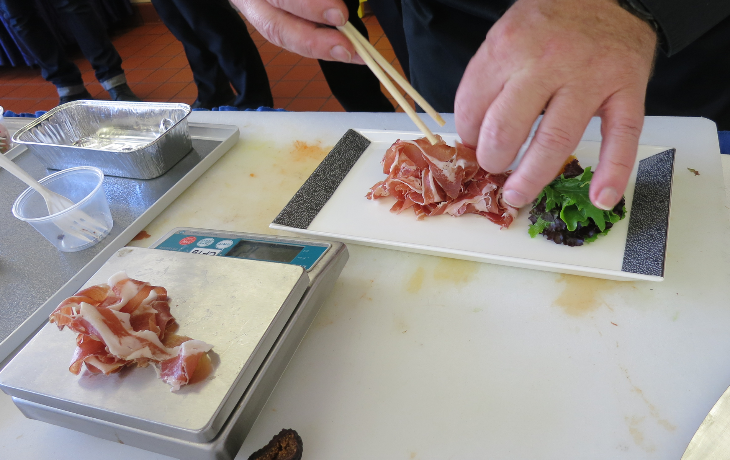 Once the dish is perfectly plated, the staff take several photographs of the dish. 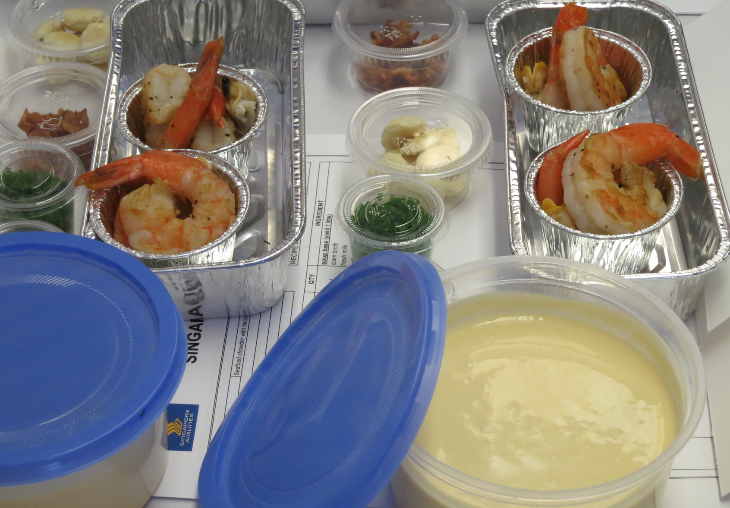 These photos are then reproduced and placed in manuals used by flight attendants to ensure that each dish matches the executive chef’s exacting specifications for preparation and plating. 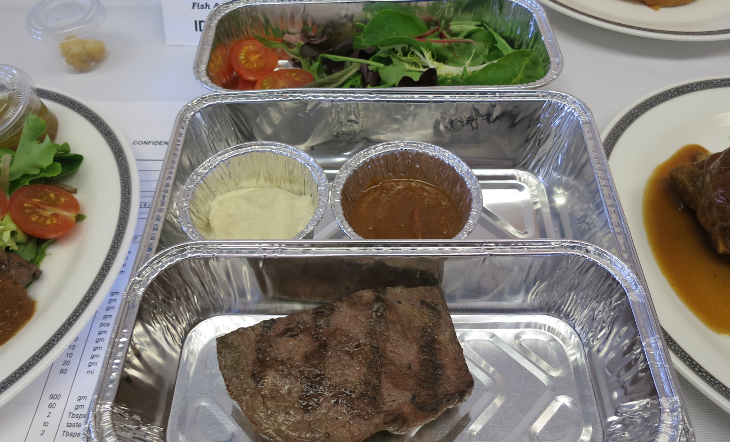 This catering and menu review is a very detailed, very intense (and very hunger-inducing) process and last month Singapore Air invited TravelSkills out to a nondescript catering kitchen about a mile south of San Francisco International Airport to witness it. 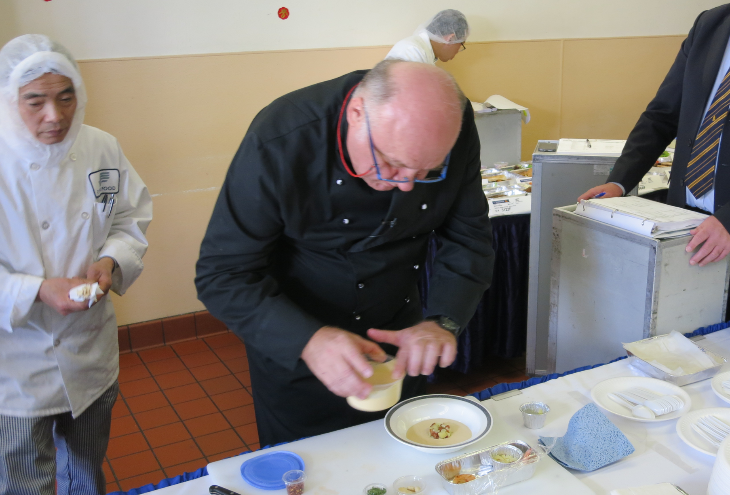 When we arrived, Singapore Airlines top food and beverage executive, Chef Hermann Freidanck was already engaged with the staff from the Flying Food Group kitchen. He was inspecting first class meals for the summer season. Here’s what we saw and heard during an hour long visit. 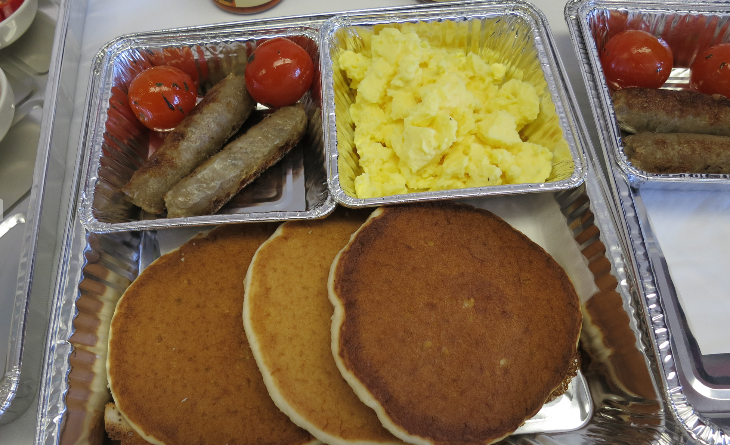 Food is delivered to planes in “foils” that are heated in a convection, steam or microwave ovens onboard. Singapore Airlines has two flights a day from SFO- one to Seoul, then Singapore. The other to Hong Kong, then Singapore. Two flights per day with three classes of service means that Chef Freidanck must inspect almost 95 plates during his two-day visit. 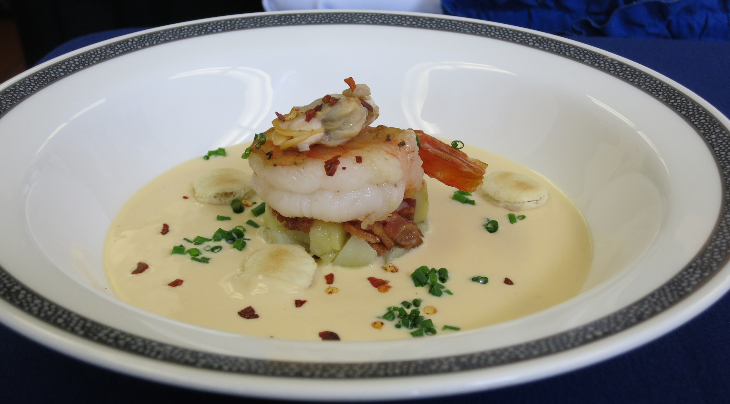 Food is cooked about 40% at the inflight kitchen, then finished off onboard. It’s important to pay attention to regional differences in the Asian palate. 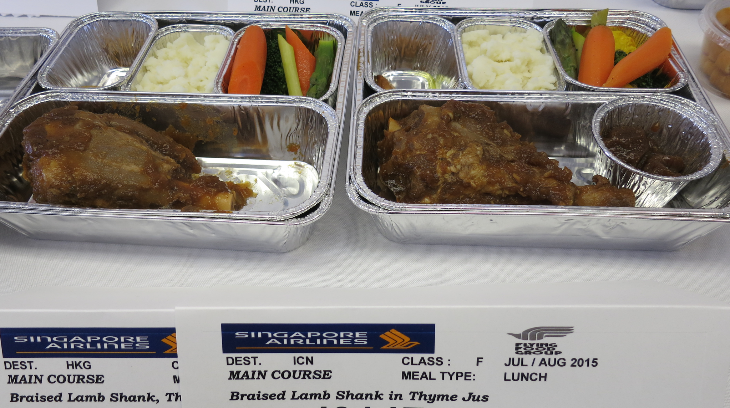 For example, we learned that Singapore Air packs one type of soy sauce to serve on flights to Seoul, another on flights to Hong Kong, and yet another on flights to Taipei. 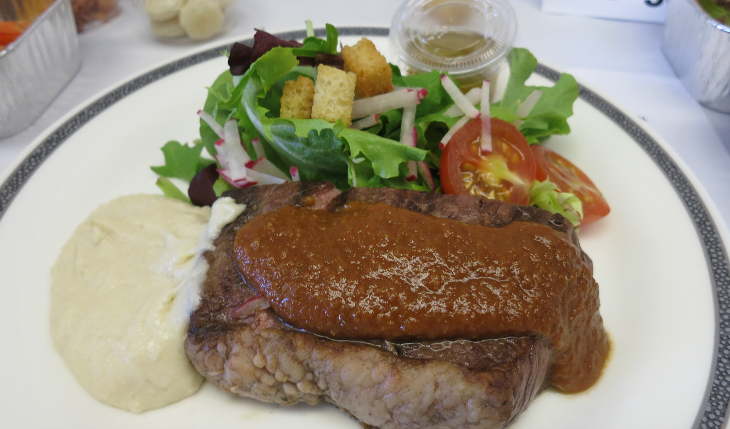 Chef said that if they serve the wrong one, passengers will let the airline know. 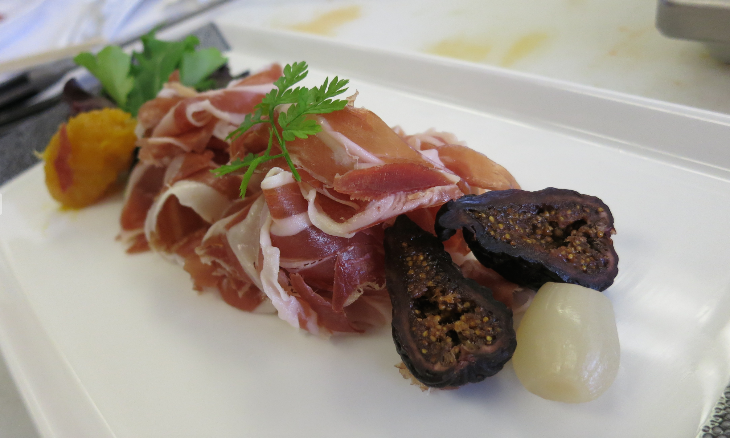 Some dishes sit for 8-10 hours before they are served. 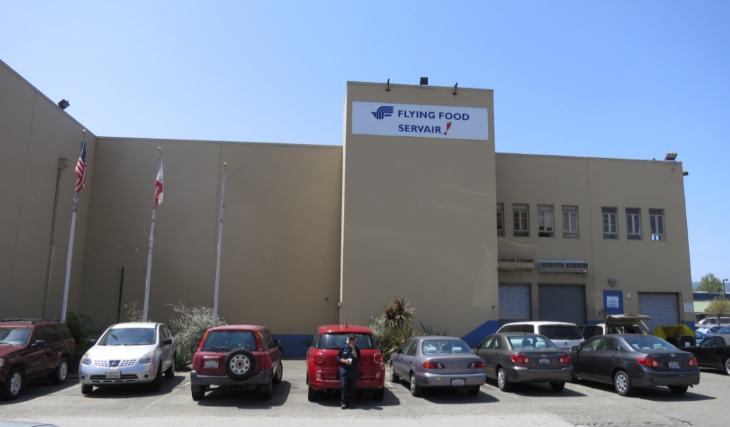 It’s no surprise that airports located in coastal areas with a preponderance of longer transcontinental flights come out near the top of the list. It’s just not worth the hassle or the cost to break out the laptop or tablet on a flight under two hours. That’s why the poorest performers when it comes to wi-fi (such as Pensacola, Savannah or Akron) are small airports that primarily offer only short commuter flights to larger hubs where longer flights await. In other Gogo news, the price to log-on onboard has jumped lately. Last week when flying between Atlanta and SFO, I noticed that the fee for a day pass purchased onboard had jumped to $26.95. Ouch! That’s a lot when you consider that Gogo competitor Row 44 only charges $8 per day per device for inflight wifi on Southwest Airlines flights. When I tweeted about the surprise price increase, Gogo responded with the suggestion that frequent users purchase a $14 all day pass BEFORE they get onboard. That represents a significant savings, and will be something I do before every transcontinental flight in the future. Especially now that it seems that buying wi-fi at the last minute at overly bloated prices is like buying last-minute airline tickets at overly bloated prices. The key here is that Gogo obviously is pushing us to buy passes ahead of time instead of onboard. Are you a heavy user of inflight wi-fi? Does the availability of it influence your airline decision? How much is too much to pay for the convenience of logging on on the fly? And finally, have you noticed any improvement is speed or connection using Gogo lately? In other Gogo news, the price to log-on onboard has jumped lately. Last week when flying between SFO and Atlanta, I noticed that the fee for a day pass purchased onboard had jumped to $26.95. Ouch! That’s a lot when you consider that Gogo competitor Row 44 only charges $8 per day per device for inflight wifi on Southwest Airlines flights. Are you a heavy user of inflight wi-fi? Does the availability of it influence your airline decision (hello, United!)? How much is too much to pay for the convenience of logging on on the fly? And finally, have you noticed any improvement is speed or connection using Gogo lately? Wired frequent flyers living in Atlanta are lucky– both Delta and AirTran are industry leaders when it comes to having inflight wi-fi available on planes. It’s a rare occasion that an Atlantan jumps on jet at ATL that doesn’t have the service. That’s not the case for the poor souls in other airline hubs where getting inflight wi-fi is a hit or miss proposition. But the situation is getting better nationally. For example, Southwest now has wi-fi on 75% of its fleet. United says that it should have 300 wi-fi equipped aircraft by the end of this year. JetBlue is talking about adding a newer, faster version of satellite based wi-fi and offering it for free to all passengers. Delta is adding wi-fi to its international fleet. This week Gogo, the major purveyor of inflight wi-fi produced some interesting numbers around how we use their service– see below for an interesting infographic. 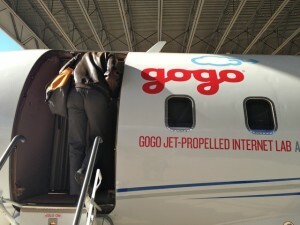 RELATED: Gogo to upgrade inflight wi-fi capacity. When it comes to staying connected at 36,000 feet, tablets and smartphones now make up a whopping 67% of the devices being used to connect to Gogo. Tablets are the most preferred device at 35%, followed closely by laptops (33%) and smartphones (32%). Apple devices are still reigning above the clouds, following the tablet trend with the iPad being the device of choice. Among all mobile devices being used to connect through Gogo, 84 percent carry Apple’s iOS operating system while 16 percent carry the Android operating system. If you look only at the smartphones our customers are using, the iPhone makes up 73 percent and all Android devices make up 26 percent, with Blackberry and Windows based devices each making up less than 1 percent of devices being used in air. So, what are our passengers doing once they connect at 30,000 feet? It’s no surprise that general Web surfing ranked as the number one in air, online activity users want to do. Besides Web surfing, passengers spend their time in flight accessing personal email, engaging in social media, checking sports scores and shopping. Business travelers ranked accessing their work email and finalizing reports as the most frequent activity above the clouds. 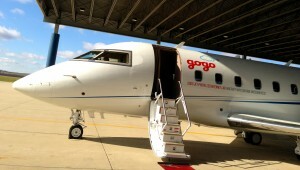 Passengers also utilize Gogo to explore their final destination’s weather, entertainment options and directions upon their arrival. TravelSkills Readers (BATs) are lucky. Since the area’s technocratic elite demand wi-fi access on planes, most airlines offer the service on flights to/from Bay Area airports. Hometown carrier Virgin America offers it on all flights. Delta, the third largest carrier at SFO offers it on all domestic flights. United and American offer it on all their flights between SFO and New York JFK– but it’s hit or miss on other flights. Southwest now has wi-fi on 75% of its fleet. United says that it should have 300 wi-fi equipped aircraft by the end of this year. JetBlue is talking about adding a newer, faster version of satellite based wi-fi and offering it for free to all passengers. Right now, there are only 25 jets that have the new ATG 4 system—out of a total of 1680 jets flying with Gogo onboard. Gogo is not making a big deal about the upgrade on the plane– the only way you know you are on an upgraded one is by taking a good look at the plane parked at the gate—look for two fins on the underbelly (vs. just one on the bottom before) , and two directional antennae (bicycle helmet sized humps) on either side if the aircraft fuselage. >While overall in-flight wi-fi usage stats sound low (at around 5%), Virgin America says that usage runs as high as 40% on transcontinental flights, especially those nerd birds between San Francisco and New York. JetBlue (with flights between SFO and Oakland to destinations such as Long Beach, Austin, Ft Lauderdale, New York, Washington and Boston) says that the new service from Live TV and ViaSat (not Gogo) will be fast enough to allow streaming of movies in-flight. On its blog, JetBlue is promising that every passenger on the plane will be able to log on and have an “at-home experience” in terms of speed. The carrier offered no firm date for the launch, only promising “early 2013.” In an unusual twist, it says it will offer the service for free until the first 30 planes get it. After that, it will offer a tiered product, with a free basic connection, but charges for more bandwidth. Not to be outdone by JetBlue, Delta says that it, too will offer the option of streaming movies and TV shows using inflight wi-fi on all 800 of its domestic two-class aircraft “by the end of 2013.” Delta currently provides Gogo wi-fi on its entire domestic fleet. 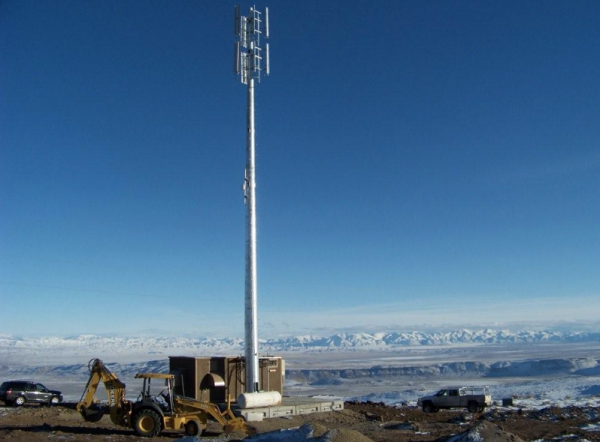 In related news, Canadian regulators have given the greelight to Gogo to get started on extending its ground-based network north of the US border. Service should be available starting in 2013. With SF-based Virgin America offering wi-fi on 100% of its flights, plus Delta, United and American providing it on all SFO>JFK flights, TravelSkills Readers (BATS!) are pretty spoiled. 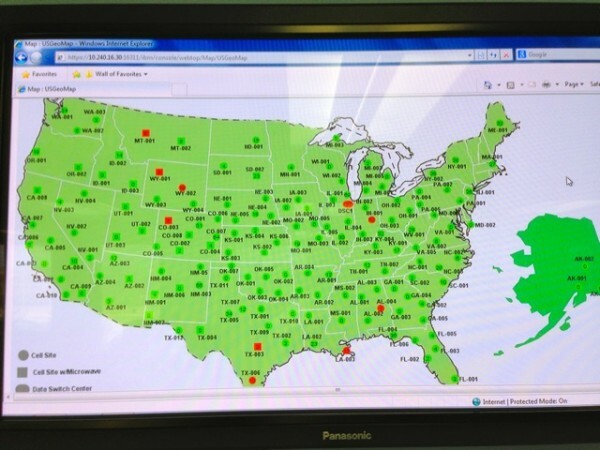 Such ubiquity is not the case elsewhere, and in fact, only 31% of domestic flights (1,165 aircraft) in the US have it. At Southwest, 35% of planes have it; 22% of American Airlines planes have it, and at United, the largest carrier in the world (and at SFO), only 1% of its flights have it, according to Business Travel News. What is surprising is that usage of inflight wi-fi on the planes that offer it is miniscule—just a scant 5.4% on average for the first half of 2012 according to Gogo. I think that number is low because most flights are so short that it does not make sense to log on in-flight. But anyone who flies across the country frequently has witnessed a much higher usage rate– on some of those SFO-JFK flights sometimes it seems that the whole plane is logged on… and speed suffers as a result. 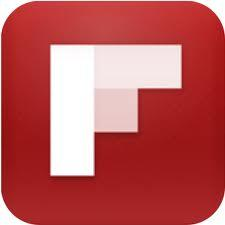 So all these promises of faster products are heartening. Whether it is land-based or satellite-based, the availability of wi-fi is THE deciding factor when I’m chosing an airline for flights longer than three hours. What about you? How important is in-flight wi-fi in your airline decision? Will you fly JetBlue more often if it comes through on its promise of a superfast in-flight wi-fi experience? Do we really need to stream video in-flight? Please leave your comments below.